Prostate Cancer UK has launched a "save the man" regular donation product to reduce its reliance on one-off donations. The charity has just launched the initiative, which is aimed at a younger audience, to capitalise on the awareness Movember raises for prostate cancer. 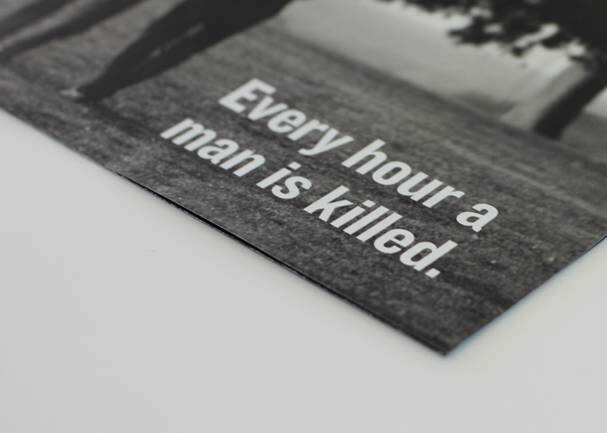 Marketing agency Futureproof has developed the "save the man" initiative and the supporting direct mail, email and social media campaign. Creative will position men as an "endangered species" and encourage them to make monthly donations via the charity’s website. Activity is aimed at raising awareness of the "often overlooked disease" and will tap into men’s desires to protect those closest to them. Prostate Cancer UK wants to highlight the fact prostate cancer kills as many people as breast cancer and is projected to be the most common cancer in the UK by 2030. Every year in the UK more than 10,000 men die of prostate cancer and more than 40,000 are diagnosed, according to figures from Prostate Cancer UK. Younger men are being targeted because although the disease is associated with older men the disease can hit men as young as 30. The charity is considering launching an above the line campaign in the second half of next year and has just appointed Manning Gottlieb OMD to its media planning and buying account. Prostate Cancer UK recently overhauled its brand and incorporated the Prostate Action charity into its operations.